There's a big story in the news today about an iceberg that has broken away from the Petermann Glacier in Greenland. These things are always compared to real places in order to provide context and this case is no different. 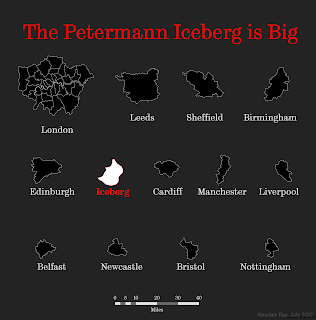 The BBC reported that the iceberg is 'twice the size of Manhattan'. This is big, but exactly how big is it? It's roughly 100 square miles. That's the same size as Edinburgh. But how big is that? To answer these questions I've just modified an earlier image based on the size of UK cities (local authority boundaries) to put it in context. 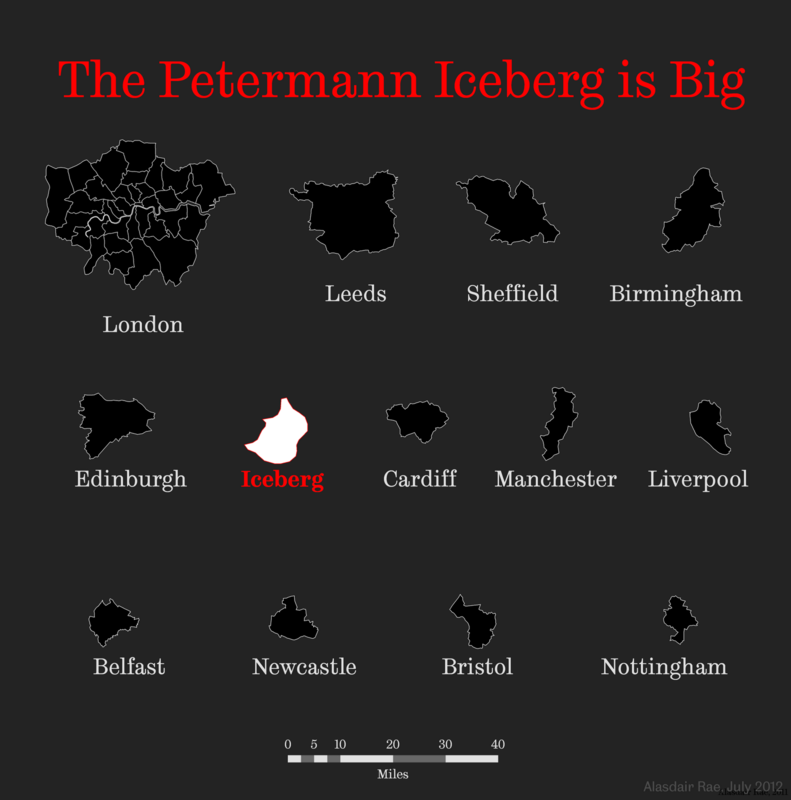 Put simply, this iceberg is bigger than Bristol, it's bigger than Cardiff, it's bigger than Manchester. It's just big. Click the image below to see for yourself.